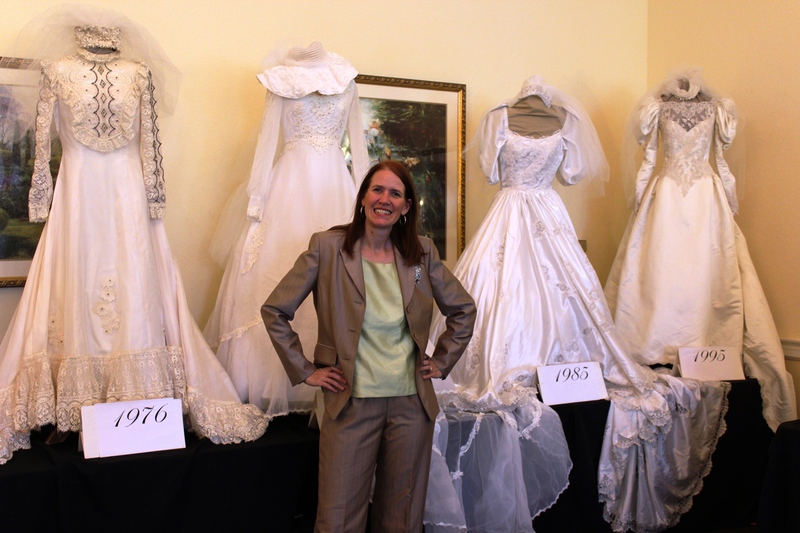 Presenter Leigh Anne Brown poses with several of her vintage wedding gowns. The Bridges Assisted Living Community in Riverview recently hosted a spectacular bridal affair which included a presentation by Leigh Anne Brown called “Portrait of a Bride.” Featured was a collection of 22 vintage wedding dresses ranging from the 1800’s to present day. Leigh Anne captured everyone’s attention as she chronicled the evolution of women and brides over the years. Held in the Bridge’s Clubhouse, residents and guests were delighted with the wedding-like atmosphere complete with decorated chandeliers and chairs, floral arrangements, wedding music and three specially decorated wedding cakes from the 1940’s, 1970’s and 2016. 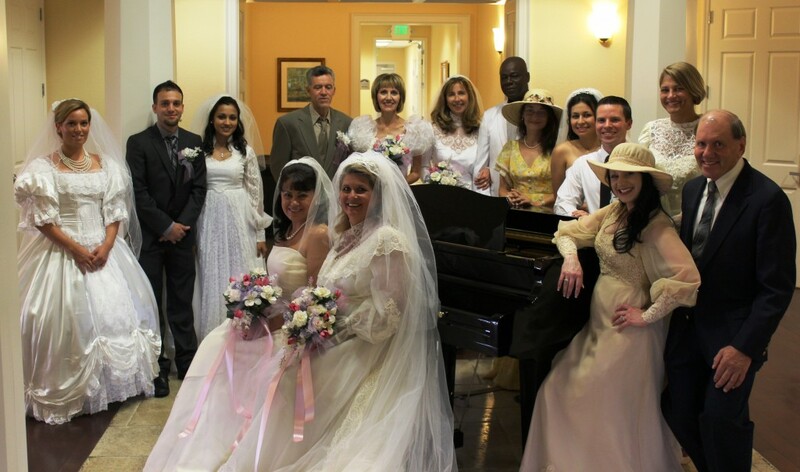 Bridal Fashion Show featuring employees, daughters & granddaughters of residents at The Bridges Assisted Living community.